With Mind Vault you can memorize anything. First, find a passage to memorize; inspirational quotes, Shakespeare, homework, the perfect toast, the grocery list, whatever you want to remember. Then add it to Mind Vault and recite the passage as the app tests you. Once you have the passage memorized, tap the vault button to store it for later. Congratulations, it’s in the Vault. 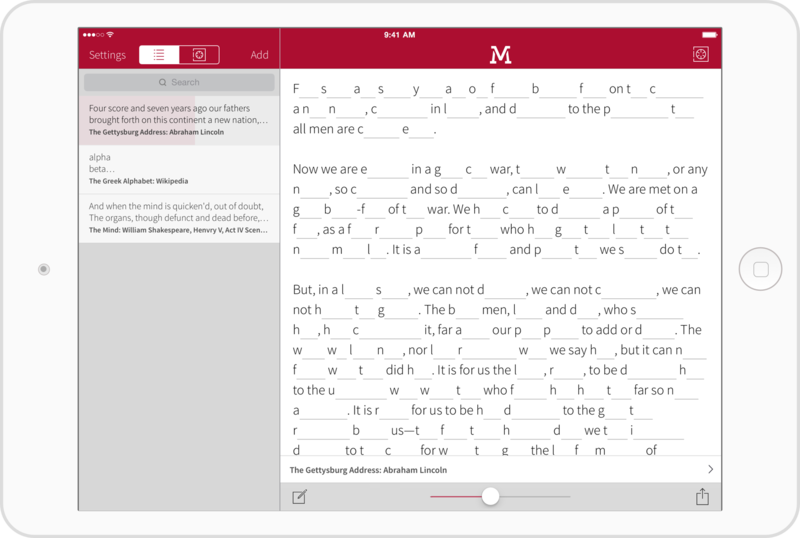 Let Mind Vault be your personal memorization assistant and brain trainer. Follow Mind Vault on Twitter and like the Facebook Page.